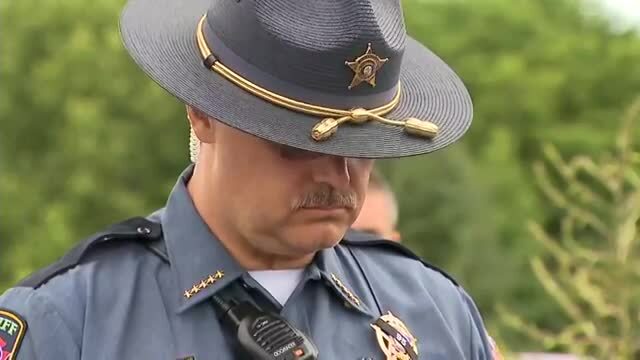 Dickson County Sheriff Jeff Bledsoe read a statement from Sergeant Daniel Baker's wife during a press conference following the capture of Steven Wiggins. The sheriff stated the arrest was not closure for law enforcement. “Closure will only come when we can honor and lay Sgt. Daniel Scott Baker to rest and that we can see a prosecution begin," Sheriff Bledsoe emotionally said on Friday. "There are no words to describe the level of devastation that myself and family are dealing with. We the family of my husband and best friend, Sgt. Daniel Baker, would like to convey our gratitude to the endless efforts of the law enforcement officers, first responders, EMS, fire and rescue and volunteers in the apprehension of the two suspects that have forever changed our lives. Our deepest thank you. The family and I would like to thank our amazing local community for the outpouring of love and support being shown during this most difficult and trying time. Lastly, I would like to ask our family, friends and community to help our daughter, Meredith, to always know how wonderful and amazing her father is. His service and dedication to his country and community will always be remembered." Sheriff Bledsoe said Baker joined the team in 2008 and added he was one of their best deputies and quickly moved up the ranks at the sheriff's office. 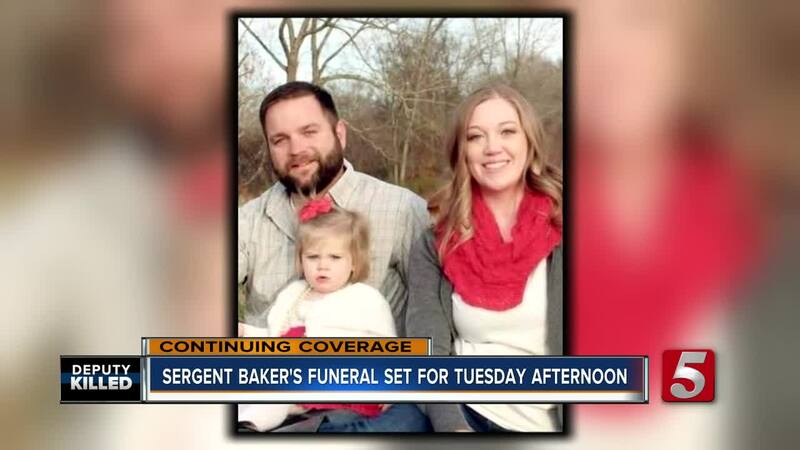 A GoFundMe has been set up to assist Baker's family. Donations can also be made to the Sgt. Daniel Baker Memorial Fund at any Tri-Star Bank location.